Even hourly employees receive benefits - such as pension contributions and medical insurance - that are not tied to the number of hours they work. Therefore, it is more profitable for employers to work their existing employees harder. “Although the image of the good worker is the one whose life belongs to the company,” Bailyn says, “it doesn't fit the facts.’ She cites both quantitative and qualitative studies that show increased productivity for part-time workers: they make better use of the time they have, and they are less likely to succumb to fatigue in stressful jobs. Companies that employ more workers for less time also gain from the resulting redundancy, she asserts. “The extra people can cover the contingencies that you know are going to happen, such as when crises take people away from the workplace.’ Positive experiences with reduced hours have begun to change the more-is-better culture at some companies, Schor reports. Do the following statements agree with the views of the writer in Reading Passage? During the industrial revolution people worked harder. 1 YESNONOT GIVEN Today, employees are facing a reduction in working hours. 2 YESNONOT GIVEN Social planners have been consulted about US employment figures. 3 YESNONOT GIVEN Salaries have not risen significantly since the 1970s. 4 YESNONOT GIVEN The economic recovery created more jobs. 5 YESNONOT GIVEN Bailyn’s research shows that part-time employees work more efficiently. 6 YESNONOT GIVEN Increased leisure time would benefit two-career households. Choose the appropriate letters A-D and write them in boxes 7-8 on your answer sheet. A it is easy to make excess staff redundant. B crises occur if you are under-staffed. C people are available to substitute for absent staff. D they can project a positive image at work. A they would not be able to afford cars or homes. B employers are offering high incomes for long hours. C the future is dependent on technological advances. D they do not wish to return to the humble post-war era. The writer mentions a number of factors that have resulted, in employees working longer hours. Which FOUR of the following factors are mentioned? Write your answers (A-H) in boxes 9-12 on your answer sheet. A Books are available to help employees cope with stress. B Extra work is offered to existing employees. C Increased production has led to joblessness. D Benefits and hours spent on the job are not linked. 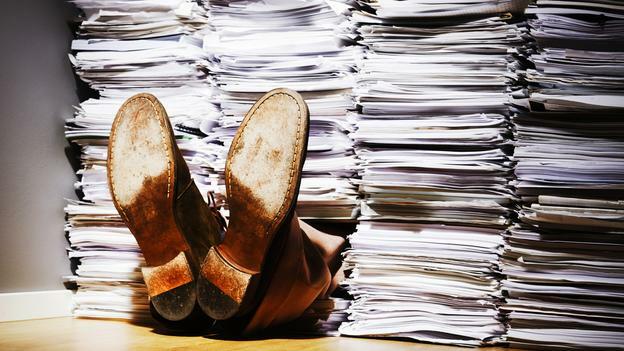 E Overworked employees require longer to do their work. F Longer hours indicate greater commitment to the firm. G Managers estimate staff productivity in terms of hours worked. H Employees value a career more than a family.